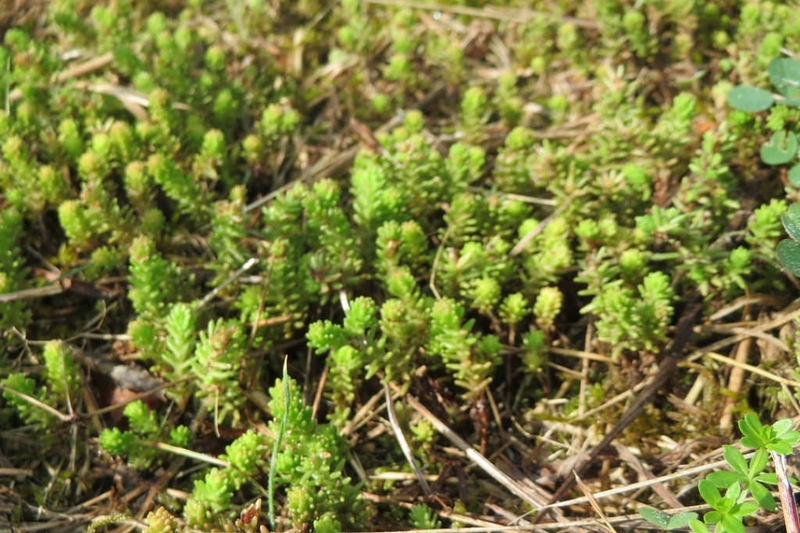 Biting Stonecrop (Sedum acre): growing, planting, caring. 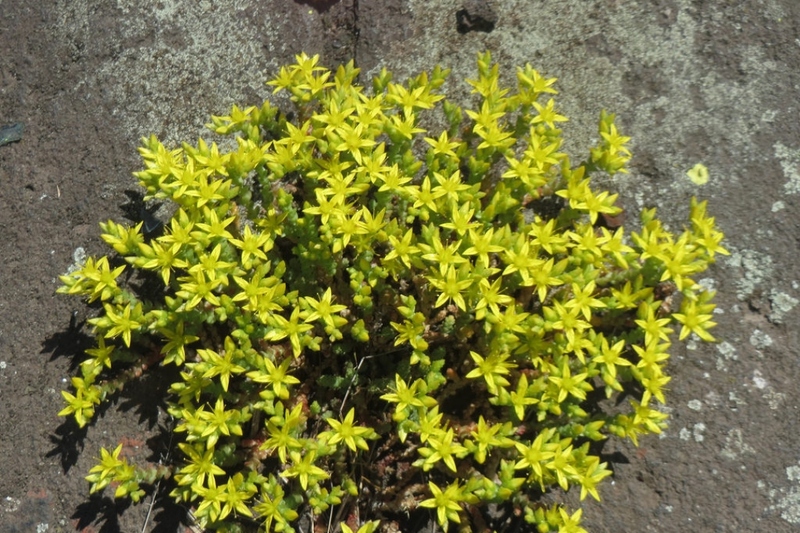 A cute succulent that does well on thin dry soils and drystone walls! 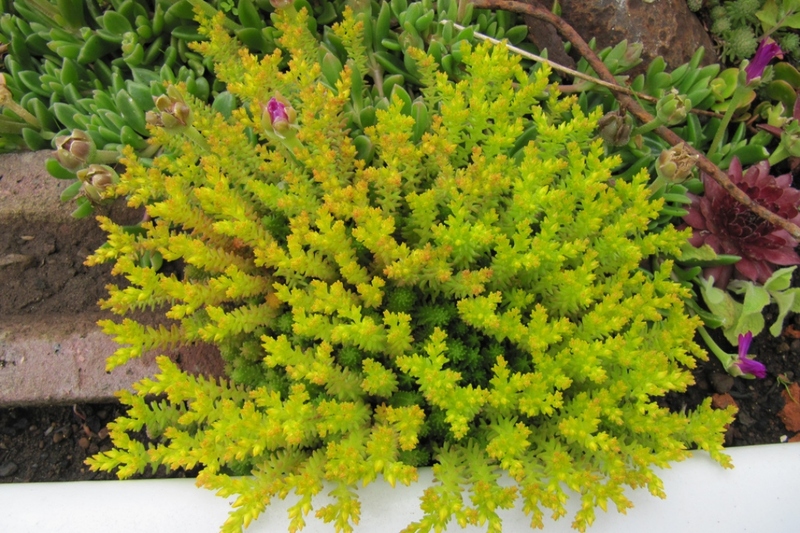 Sedum acre - Biting stonecrop, goldmoss stonecrop, goldmoss sedum, or wallpepper, is a perennial flowering plant in the family Crassulaceae. It is native to Europe, but also naturalized in North America, Japan and New Zealand. 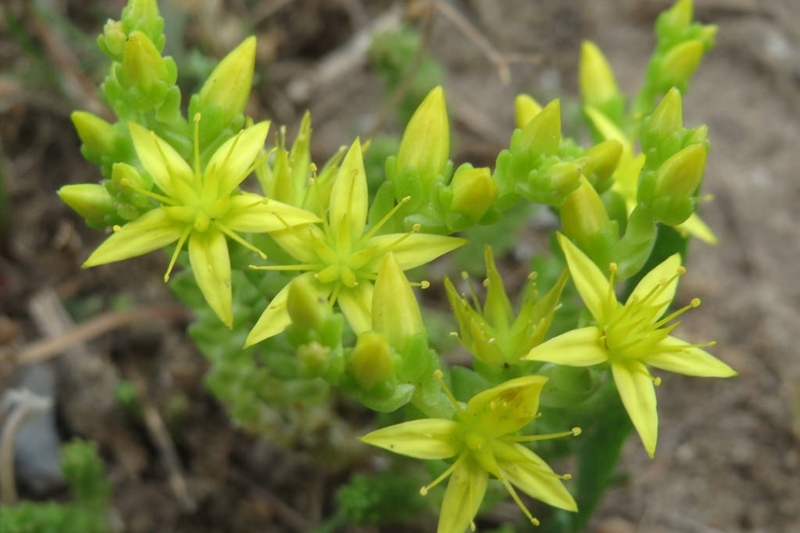 It is a tufted perennial herb that forms mat-like stands some 5 to 12 cm (2 to 5 in) tall. Much of the year the stems are short, semi prostrate and densely clad in leaves. At the flowering time in June and July, the stems lengthen and are erect, somewhat limp and often pinkish-brown with the leaves further apart. The leaves are alternate, fleshy and shortly cylindrical with a rounded tip. 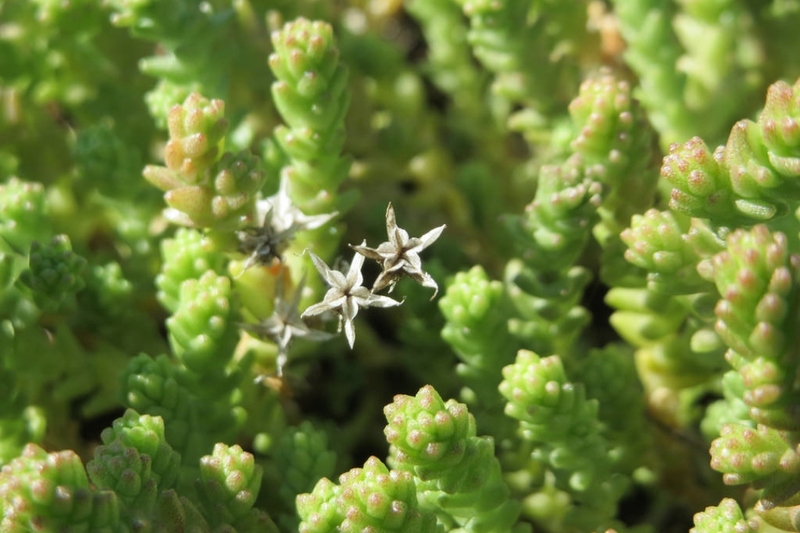 The leaves of the orpines are fleshy, cylindrical or flattened, and the flowers grouped into corymbs, panicles or cymes are often yellow, sometimes pink, with five petals star shaped. Mulch the large sedums, this will prevent some watering and weeding in summer. For small orpines, use a mineral mulch instead. After flowering, trim the crawling orpins so that they remain compact.